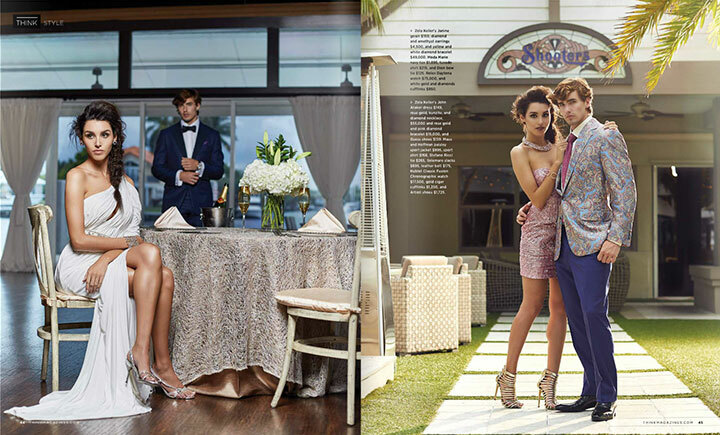 Zola Keller - Zola Keller gowns in Think Magazine! The Graceful Palette holiday editorial in the November issue of Think Magazine features women's fashion from Zola Keller. See a sampling of Zola Keller gowns to wear this holiday season and to black tie events! Gowns and cocktail dress available at Zola Keller.